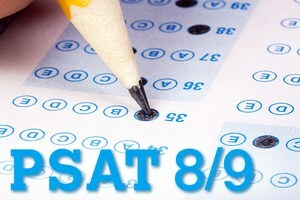 Earlier this year, all 8th grade students had an opportunity to take the PSAT 8/9 and the results are finally here. Click the headline above for more information about how to read the score reports students will be bringing home. The PSAT 8/9 is a preview of the PSAT and SAT exams students will take in high school. This test is a chance to assess where students are currently in relation to their readiness for college-level material and a good guide for what students need to work on in preparation for the future. Every 8th grade student who took the exam back in October will receive their score report this week in their English class. While teachers will review how students can read their scores and what they mean, it's important that the value of this test be reinforced at home. To better understand your student's results and what next steps you can take to further their academic development, click HERE. *Score reports will be distributed to students during the week of February 5.